I had quite the weekend. I swear sometimes they just go by entirely too fast, but I’m excited to share with you what happened to me this weekend. A few months ago, I was driving when I saw something in the middle of the road I simply couldn’t avoid. I knew that I was going to hit what appeared to be a metal part off the back of this man’s truck. I simply didn’t have time to avoid it. To make a long story short, I was okay along with my assistant, but my poor tire was not. I had to go to Sears and they ultimately replaced the tire, and I was well on my way. As you see, I have two missing lug bolts. I immediately called my father, and asked him exactly what this means. He said, “you do not need to drive that car. Your tire could fall off, and you could completely lose control of the car. I told him that my phone was dying, my husband was at work, and that If I could make it home, I’d be ok. Before I got off the phone, he said “Make sure you have your seatbelt on”. As I walked to my car, a man in a white truck parked. I looked at my tire one last time, and then the man walked up to me. When he walked up to look at my lug bolts, he touched the other two and they practically came off in his hand. He said, “OH MY”!, searched for a wrench to tighten the remaining two, and asked if I needed to be followed to Sears. I told him, no that I was going home, and that I would be okay. I thanked him several times and got in my car. You see, here I was about to get in this car, with a tire that wasn’t anywhere secure and before I could get in the car, God interceded and sent that man to help me. The man showed up immediately after I said “AMEN” in my prayer. I was just so grateful, so humbled, so overwhelmed with emotion, that God had once again showed up and showed out, at a moment and time, when I didn’t know what I was going to do. Once I was in my car, my speakers were blasting “Total Praise” and the tears just flowed. God is so awesome. He’s always watching over us. Even when we may feel alone. Even when we may feel lost. HE ALWAYS MAKES A WAY. I immediately called my mom once I got home, and I was still overwhelmed with emotion, because I knew it was no one but GOD. Just retelling the story brings tears to my eyes to simply think, he didn’t have too, but he DID. We don’t always see what God is doing but to be able to recognize and see his action and movement right before my eyes. Just touched me in a way I can’t even begin to explain. I just had to share this with you. You see when God moves like that, and does something so amazing, you can’t help but want to share it with the world.. 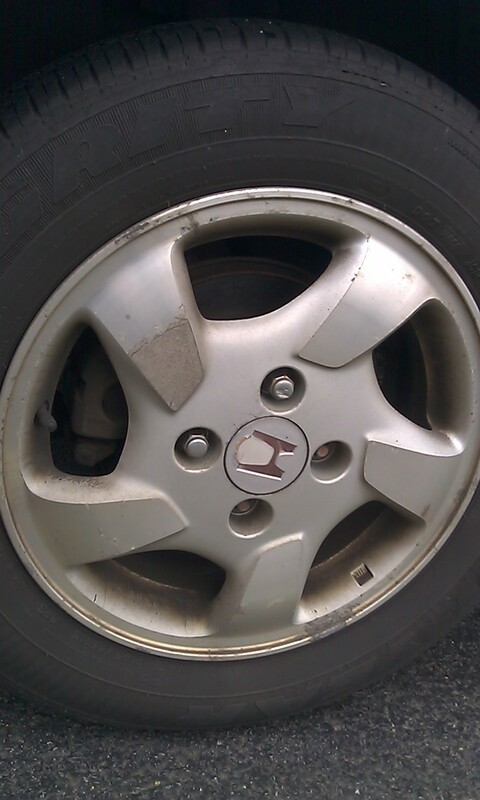 So today, I wanted to share with you about my tire and a testimony. I have heard of several people who weren’t so lucky in a similar situation so all I can do is praise him and thank him. He deserves every bit of my praise. Hey Soror!! You blog was a blessing to me. God continues to show me how awesome he is!! I thank God for sending an Angel to look after you!!! I do want to ask you this though. Please tell me that you are going to have a conversation with those folks at Sears regarding that tire??? That was negligence on their part and someone needs to know this. Thanking God for having favor over your life! !